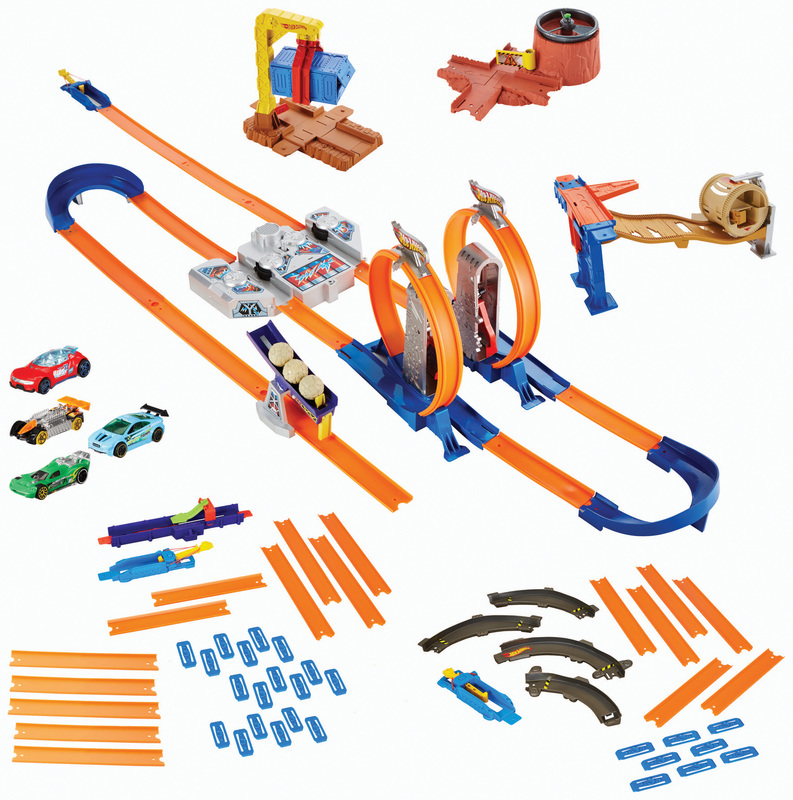 The Hot Wheels Track Builder System offers the ultimate track experience for boys by allowing them to design, create and customize their very own track challenge with a variety of stunts and layouts. 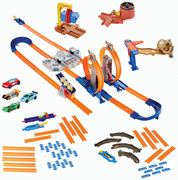 This mega set includes 4 1:64 cars to get you racing right away. The Total Turbo Takeover features an all-new, two-way booster. 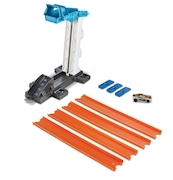 Kids can configure their set in a head-to-head racing showdown or re-configure it and flip a switch on the booster to send cars racing off in opposite directions. The Curve and Speed packs deliver dynamic, pro driving stakes, and mysteries lurk deep in the secret underground mountain lair known as Area 68. 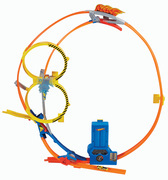 Wind it up and as your car races by, you will be amazed when a UFO zooms toward the sky! Then, high above the track, a giant cargo container swings wildly back and forth. Do you have the raw power to drive through in time? Or will the crate crash and stop you in your tracks? Next, have a barrel of fun with the Barrel Drop! 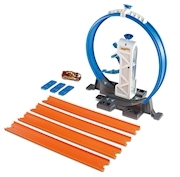 Send your car speeding into the barrel and watch it go tumbling down the hill. When it reaches the bottom, it's ready to race again, tearing off at high-speed down the track. Then, get ready for an extra bang with the Cannon Launch. Zoom toward the mouth of the cannon and when you are nearly inside - presto! A trap door opens and triggers the cannon to fire its cannonball! 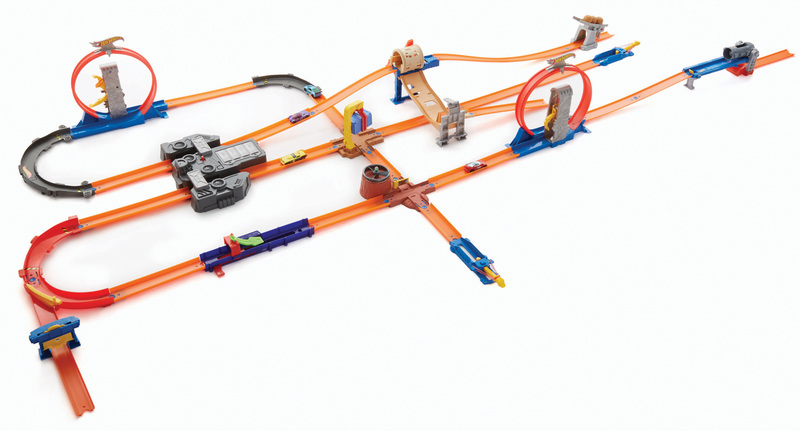 If you can dream it, you can build it with Track Builder! Ages 4 and older.